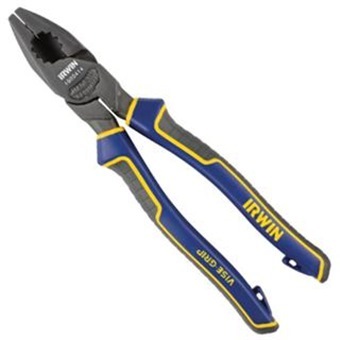 IRWIN HIGH LEVERAGE LINEMAN'S PLIER is rated 3.0 out of 5 by 1. Rated 3 out of 5 by smtan24 from Poor finishing Bought this plier as I was told it was a rebranded NWS. However the finishing on the plier is terrible for the price you are paying. The rear of the pivot point have the points where it was cut showing. This should had been filed down at the factory. The gripping surface at the rear are marred. This was the case with another unit we open up. I would not recommend this unit. Knipex pliers are cheaper and better quality.